Following Starbucks' announced plan to eliminate single-use plastic straws globally from all its 28,000 stores by 2020, Kraft Heinz has stepped up its eco-friendly game as well. Kraft's new goal is to make 100 percent of its packaging recyclable, reusable or compostable globally by 2025. According to a press release, Kraft Heinz will partner will packaging experts and organizations to "aggressively pursue technical alternatives" in addition to increasing the usage of recycled content in its packaging and decreasing the overall volume of packaging used. "Our collective industry has a massive challenge ahead of us with respect to packaging recyclability, end-of-life recovery and single-use plastics," said Bernardo Hees, CEO at Kraft Heinz, in the release. "Even though we don't yet have all the answers, we owe it to current and future generations who call this planet 'home' to find better packaging solutions and actively progress efforts to improve recycling rates. That's why Kraft Heinz is placing heightened focus on this important environmental issue." One of the most difficult aspects of this recycling push? How they'll make those pesky ketchup packets that overflow our kitchen drawers more eco-friendly. According to Bloomberg, Kraft Heinz isn't sure how it'll approach its current nonrecyclable and nonreusable packaging, including ketchup packets. "Everything is on the table," head of global corporate reputation Caroline Krajewski told the publication. "We have a tough road ahead of us on certain packaging types, and there are issues where we'll have to band together with third parties and industry coalitions because no one of us can progress change in that area by ourselves." She continues to say: "We're really entering brand-new territory here. We now have this seven-year runway to create a new solution. Where a technical solution does not exist, we'll need to find one." This isn't Kraft Heinz's first foray into pursuing more sustainable packaging, though. 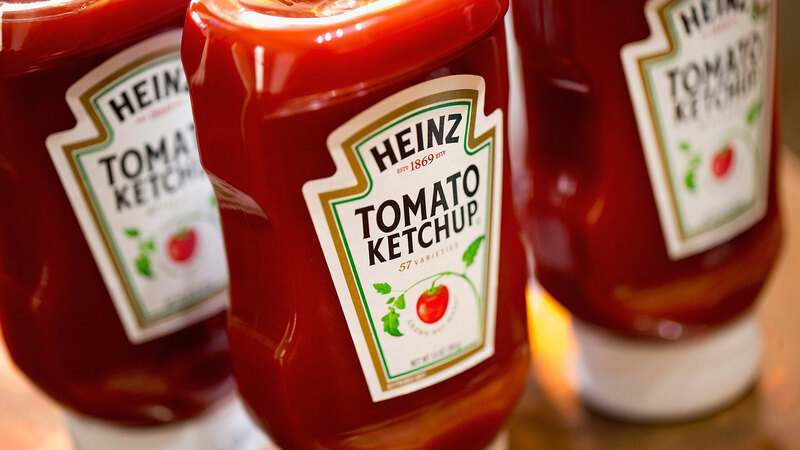 Kraft Heinz Europe is also currently making the Heinz Tomato Ketchup PET plastic bottles, which are made partially from plants and have a lower reliance on nonrenewable resources, fully circular by 2022. The company plans to use recycled material able to be remade into food-grade packaging. Lastly, Kraft Heinz has also joined the Science Based Targets initiative, working to reduce its greenhouse gas emissions. "Adoption of these particularly aggressive targets is aimed at helping avoid a global temperature increase of more than two degrees Celsius," the press release states. "We found that most of our emissions are coming from areas outside our direct operations," Hees said. "To truly succeed as champions of sustainability, we will look at our full value chain and determine where we can make the greatest impact for our planet." Keep an eye out for further announcements from Kraft Heinz through 2020.